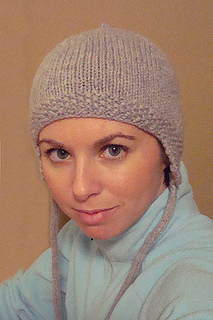 Ready for fun… this cozy hat, quick to knit in Chunky yearn, has seed stitch edgings and earflaps. 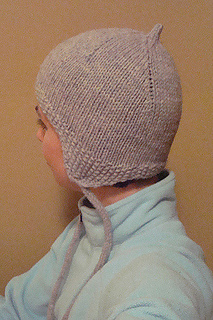 The whip-stitching contrast adds a whimsical touch. 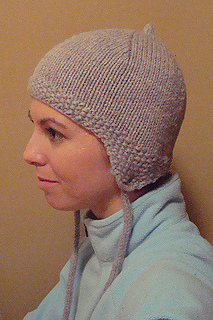 The earflaps are worked first, then attached as the brim is cast on. 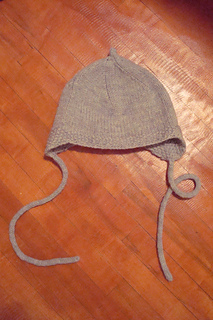 The entire piece is worked flat, then seamed. At least one project has been worked in the round; check project pages for conversion advice.